The Bachelor of Design offers a pathway into a number of disciplines within engineering. 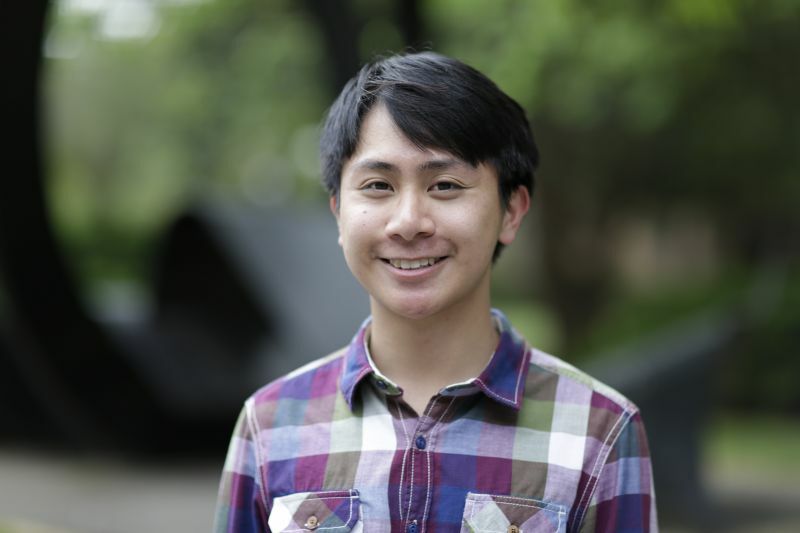 Majoring in Spatial Systems, Bachelor of Design student John Darwin Oanes spoke to us about his experience so far. What majors are you studying? I’m currently studying Spatial Systems and Urban Planning. I applied for the Bachelor Design in hopes of pursuing Spatial Systems, and being at university has helped me to confirm that it is what I’m interested in. I’m slowly learning about the industry as I go along. I decided to pursue a second major in Urban Planning after realising that the two majors were quite interconnected. It will broaden my perspective in possible career paths and make me more employable in the future. Why did you decide to pursue the Bachelor of Design? I knew I wanted to study an engineering pathway, but I was unsure whether I wanted to pursue it through design or science. After talking to older friends and attending Course Information Day during change of preference period, I chose design as I preferred the choice of electives in design (being more focused on the built environment). What is the advantage of pursuing the Bachelor of Design as an engineering pathway? Being able to double major allows you to extensively pursue alternative interests. The Bachelor of Design facilitates a more creative approach to problem solving and critical thinking. It is also much cooler to say that you’re in design. I studied a broad range of subjects including English Literature, Spanish, History, Biology, Chemistry and Mathematics. Having come from a small IB cohort of 14, I’m glad that I’ve tried different kinds of subjects to help me determine what are (and are not) my interests. What is your favourite Bachelor of Design subject so far and why? Mapping Environments. It was a great introduction to spatial systems and covered a broad range of material such as surveying, remote sensing and 3D visualisation. Its emphasis on group work allowed for a practical, hands-on experience in learning. Plus, the head tutor (Kenny) is a legend! What was the highlight of your first year at university so far? The free food club events! Nothing unites broke uni students like free food does. Thank you DESS for the new friends and pizza! I’m not really sure, but I am interested in working with photogrammetry and 3D Mapping. To never be afraid to ask questions. No one is able to help you if you don’t ask for it. It was daunting at first as I didn’t want to appear ‘clueless’, but I realised that being able to communicate my uncertainties was proof that I was taking steps to improve my skills and knowledge and others will appreciate that effort. Make sure you stay on top of your work and due dates! The first few weeks of university is a fun transitionary experience where you meet many new people, join some clubs, and enjoy some free food but those assessments will creep up on you. As they say, work hard, play hard. What challenges have you faced since coming to University? How have you been able to deal with them? From both self and parental pressure to do well academically to the daily hour-long travel to and from university, it’s very easy to feel fatigued, demotivated and indifferent. But I realised after complaining to my friends over coffee that many others were sharing the same struggle. It was also important that I balanced my life by involving myself in more clubs and volunteering activities. What are you planning to do after the Bachelor of Design? Hopefully I’ll be studying the Master of Engineering, but we’ll have to see whether I change my mind by then.